Ah, it’s summer. And nothing says summer like a fresh cocktail – preferably enjoyed amongst friends on a sun-drenched patio, but ultimately acceptable at any location and with anyone (hey, we don’t judge).We’re shining a light on Kingston’s notorious cocktail scene, starting with The Black Dog Hospitality Group. With four unique restaurants – each with their own distinct style and flavouring – Black Dog knows a thing or two about preparing an appetizing drink. We’re covering a signature cocktail from each of their restaurants plus their respective takes on the greatest Canadian beverage of all: The Caesar. One of the city’s most popular dining establishments, this upbeat, stylish bistro serves French bistro classics—steak frites, duck confit, mussels—and modern ‘Farm to Table’ features with dishes are prepared using fresh, market-driven seasonal ingredients. Enjoy one of their signature cocktails at the spacious zinc bar or relax in the dining room or on the colourful courtyard terrace. Craft beers, seasonal cocktails and a dynamic wine list are why Le Chien Noir made our list. Classy and refreshing, Le Chien Noir’s Basil French 75 probably goes down a little easier than it should. 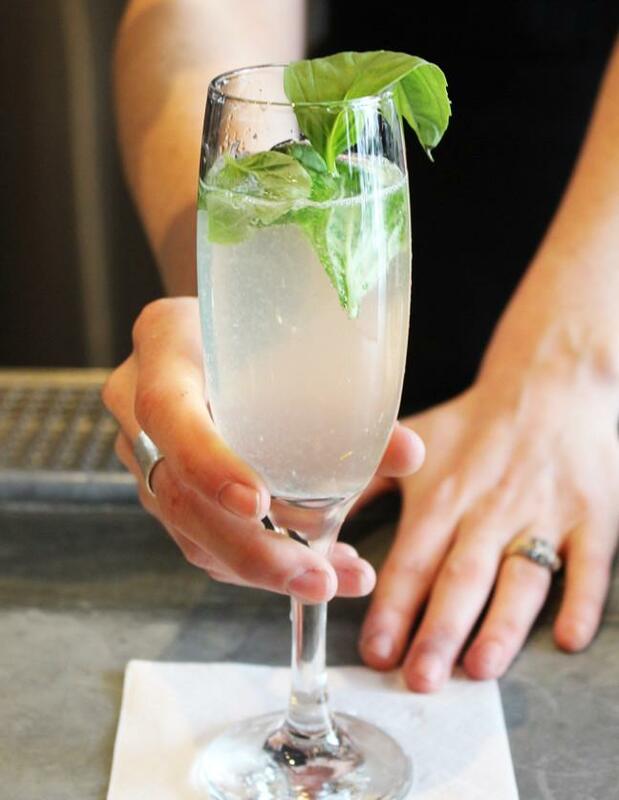 This summery concoction is made with basil, simple syrup, Victoria gin, lemon juice and prosecco. Garnished with fresh basil, this delightfully light cocktail will have you coming back for seconds. And thirds. And maybe fourths. Le Chien Noir’s take on the Canadian classic is a treat for the tastebuds. 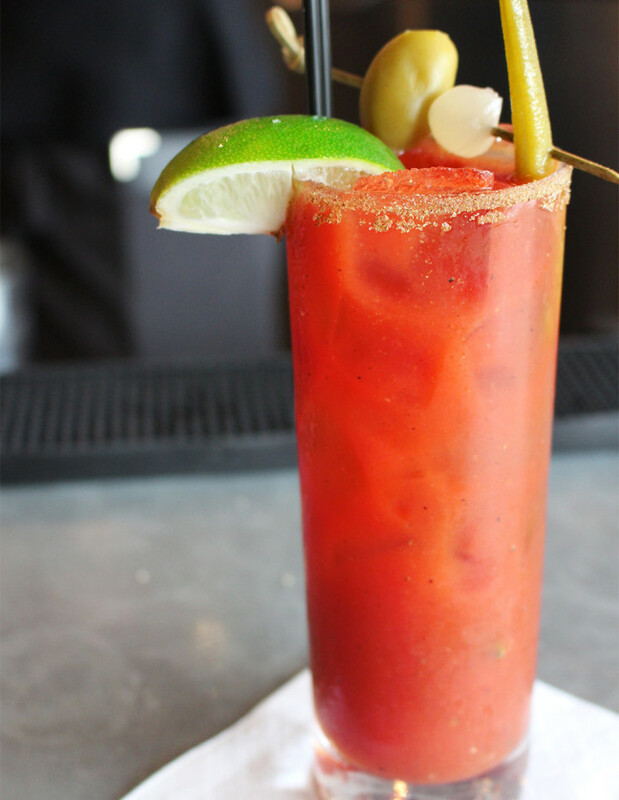 The Chien Caesar is prepared using both Stoli and chili-infused vodkas, worcestershire sauce, and lime juice. 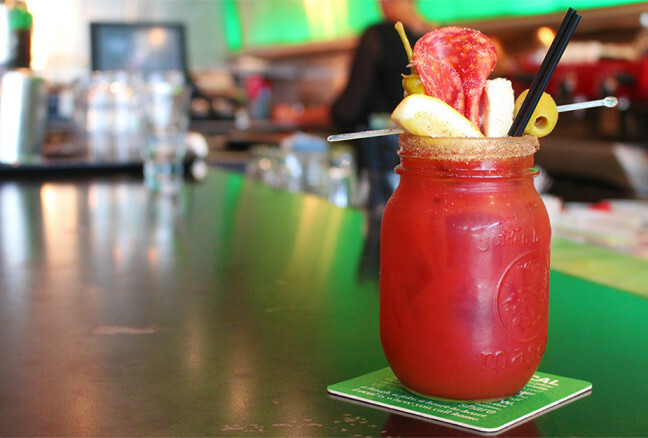 Instead of traditional clamato though, the bar staff opts to use Walter’s all natural, craft made Caesar mix for this little indulgence. Topped with a pickled bean (yes! ), onion and an olive, The Chien Caesar could easily be justified as a drink and a snack. … Right? Fresh Italian food and contemporary cocktails are waiting for you at Atomica. Their specialties include a ‘build your own’ antipasto board, salads, pasta, panini, entrees & house made desserts. Local products are showcased on a daily card and throughout the menu. You’ll love the vibrant atmosphere whether you’re at a table in the dining room or at the gorgeous bar. One of our favourite things in the summer is relaxing on the sunny sidewalk patio with a glass of wine or a delicious cocktail from one of the city’s most creative drink lists. It’s hard to believe, but this summery cocktail tastes even better than it looks. Watching it get prepared was actually kind of mystifying; the staff at Atomica definitely know their mixology. 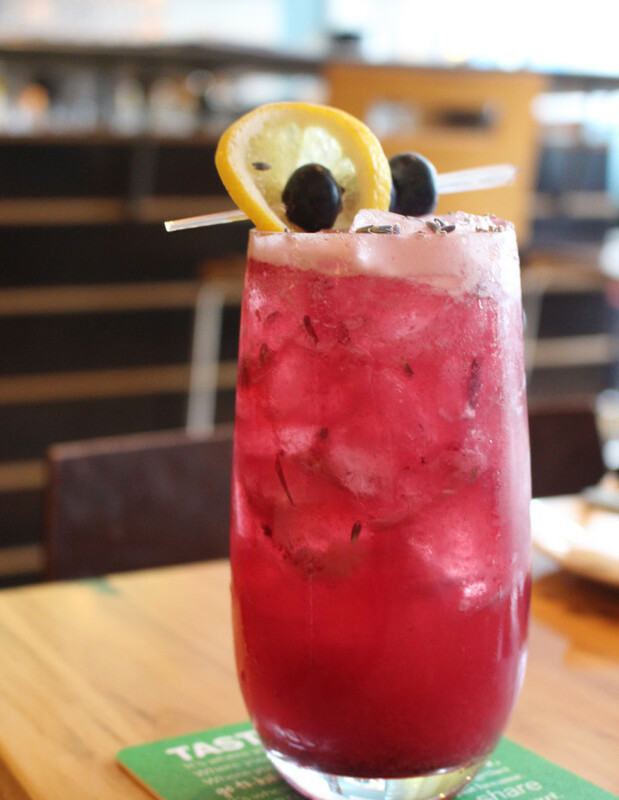 The Blue Lavender Collins is made with vodka, fresh muddled blueberries, lemon, house-made blueberry jam and club soda. At the risk of offending anyone, we’re officially calling this the perfect summer patio drink to enjoy when you’re in Kingston this summer. Sometimes ordering a Caesar can be a risky endeavour – few understand the delicate balance of ingredients needed to achieve the perfect mix. Not at Atomica, though. Not only does this Caesar look amazing (anyone who garnishes one with pepperoncini is after our own heart), but it might just be one of the best we’ve had in recent memory. 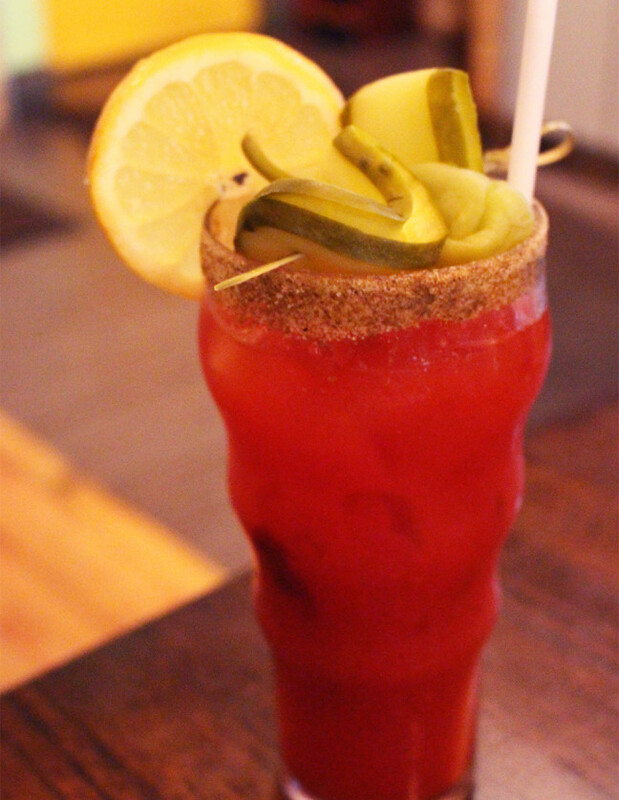 Prepared with their own in-house chili-lime vodka, this Caesar packs a flavourful punch that demands to be enjoyed. When visiting Kingston, you don’t want to miss this local burger joint with some of the best burgers in Ontario. Harper’s Burger Bar handcrafts their hamburgers using 100% fresh ‘family-farmed’ beef, which are best accompanied by either their hot & crispy hand cut fries, beer battered rings or poutine. We couldn’t imagine hitting Harper’s and not indulging in one of the dozens of potential burger concoctions, but those looking for lighter fare will be happy with their cool and crunchy salads, natural chicken, turkey, veggie and wild salmon burgers. In terms of creative cocktails, Harper’s is a cut above with the likes of their spiked shakes and beer floats. Harper’s is a must-visit for anyone who likes their alcohol with a heavy dose of sugar. Is Grandma’s Treat a cocktail? A milkshake? There’s no need to decide, just to enjoy. Made with bacon-infused Maker’s Mark bourbon, sinfully delicious caramel and vanilla ice cream, this cocktail is definitely a viable alternative to dessert. 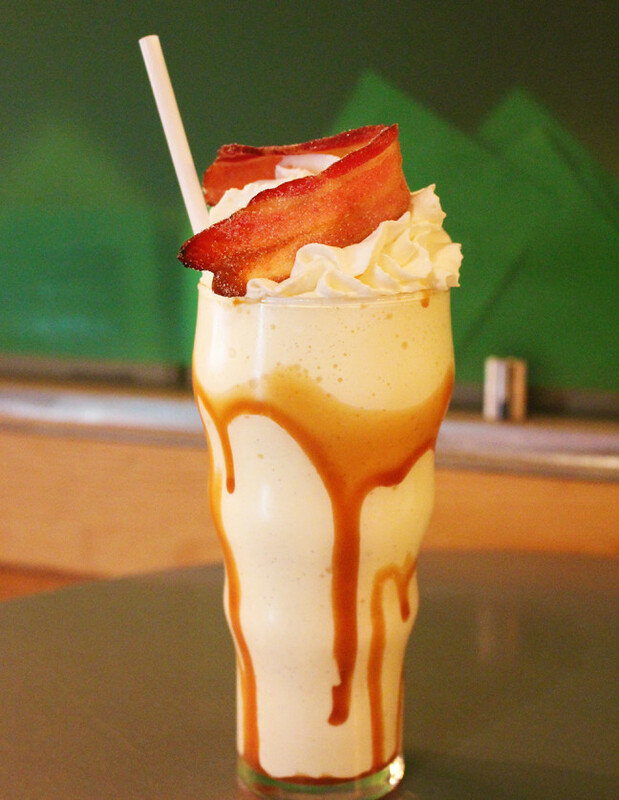 Topped with candied bacon, you’ll be wondering why this drink wasn’t ever served at your grandmother’s. By now, it’s emphatically clear that the restaurants of Black Dog Hospitality Group know how to make a mean Caesar, and this one from Harper’s is no exception (especially when accompanied by one of their amazing burgers). Maybe it’s the artisan clamato they use (Harper’s is another proponent of using Walter’s), or the secret mix of spices that they refused to disclose (surely they can’t blame a guy for trying), but one thing is certain: this tangy Caesar topped with a delicious pickle spear is a Caesar lover’s dream. For those unfamiliar, Dianne’s Fish Shack & Smokehouse – just steps from the waterfront – combines a classic East Coast kitchen with the flavours of Mexico. Confused? Think fish n’ chips, lobster rolls and chowder, tacos and ceviche, smoked pork carnitas (like no other), chicken tinga and beef xocolatl. An Ocean Wise partner, Dianne’s offers sustainable seafood options and plenty of other turf options to accompany their awesome cocktail list. Head to Dianne’s to enjoy a taste of Baja Mexico without venturing outside Kingston’s city limits. 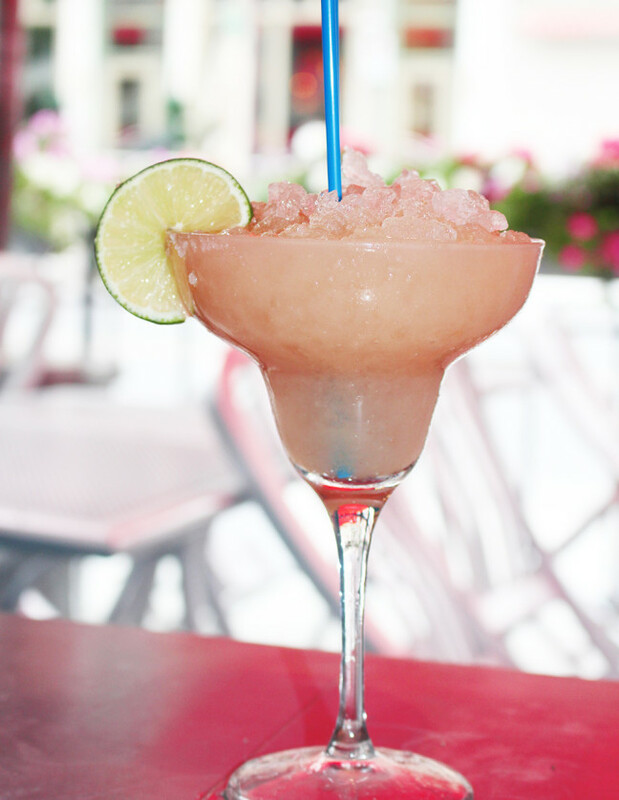 Their take on the infamous Margarita includes Tromba Anejo tequila, Grand Marnier, agave nectar and fresh-squeezed lime. Full disclosure: this refreshing cocktail always goes down very quickly – brain freeze be damned. You’ve been warned. 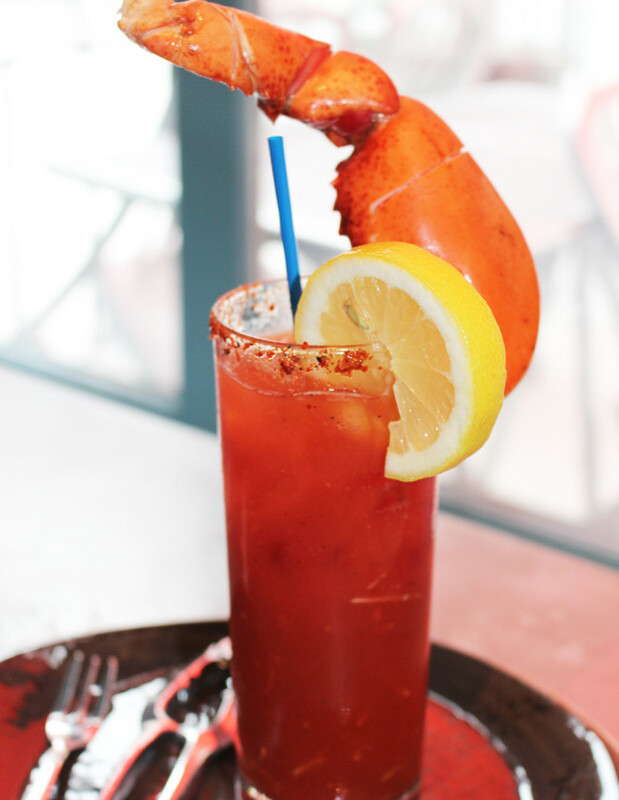 This delicious Caesar from Dianne’s is not for the faint of heart (and we’re not even talking about the impressive, but perhaps frightening looking lobster-claw garnish). They call it the Diablo Caesar for a reason – prepared with artisan clamato, Cholula hot sauce, fresh horseradish and finished with chili-salt rim, this spicy concoction is for the Caesar fan not afraid of a little heat. Do you want your establishment’s cocktails featured in the next volume of The Cocktails of Kingston? Send us an email to info@kingstonlobby.com. We want to feature all of the creative drinks in Kingston!